A desert may seem an unlikely home for a freshwater fish, but many species find a way to scrape by. In order to survive, desert fish have to be ready to take advantage of habitats when they are available. Brief periods of rainfall can send flow down tributaries that are normally dry, opening up new areas for fish to feed, spawn, and seek refuge. These “intermittent” streams are often not protected by the same regulations as continuously-flowing “perennial” streams, despite the fact that they greatly expand the aquatic habitat of arid regions. For example, non-perennial streams make up 81% of all stream habitats in the southwestern United States, and 73% of all stream habitats in California. Because the majority of research focuses on perennial streams, the use of intermittent streams by fish is poorly understood. However, even fish like salmon living in the wet Pacific Northwest appear to rely on intermittent streams for spawning habitat, and this phenomenon may be even more important in arid regions. To investigate the use of an intermittent stream by native fish in southwestern Colorado, fisheries biologists assessed the movement of three at-risk species into and out of a transitory tributary, revealing that surprisingly large numbers of these fish make use of such habitat when conditions allow it (Hooley-Underwood et al. 2018). The three Colorado River Basin natives, flannelmouth sucker (Catostomus latipinnis), bluehead sucker (C. discobolus), and roundtail chub (Gila robusta), currently only occupy half of their historical ranges or less. It’s for this reason that a random sample of Cottonwood Creek in the spring of 2014 caught the attention of fisheries scientists. In this intermittent tributary, biologists found shockingly large numbers of all three species at densities up to 70 fish per 100m of river. This led to the development of a study to examined this tributary in more detail. Through the use of a picket weir and PIT tag antennas, researchers were able to monitor the movement of adult fish into and out of the system. 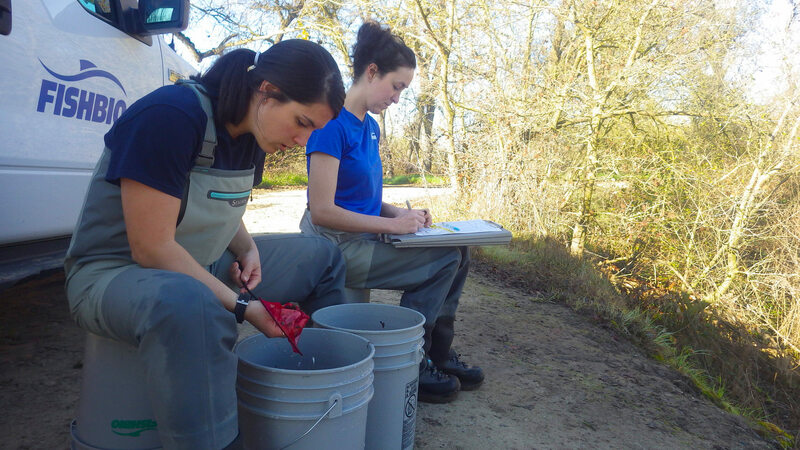 In addition, they used drift nets to sample for eggs and larvae that were flowing out of the creek after spawning. Over the three years of the study (2015–2017), the researchers handled 609, 8,118, and 10,726 individual fish, respectively. This variation reflects differences in precipitation and flow. In 2016 and 2017, spring runoff was mainly the result of melting snowpack, whereas in 2015 spring runoff into the stream was almost entirely driven by rainfall. This shifting environment is one reason why desert fish have to be so adaptable. When flows were sufficient, both flannelmouth and bluehead suckers used Cottonwood Creek for remarkably long periods of time – 25 to 37 days on average. In addition, about 70% of suckers PIT tagged in 2016 returned in 2017. These return rates are similar to (and in some cases higher) than those observed in perennial streams in the region, suggesting that the creek is suitable – and possibly even preferable – for spawning. Plus, larvae detected at the mouth of the creek indicate that offspring are capable of making their way back to perennial streams. For every question this study answered, it raised several more. For one, the reproductive success of fish spawning in the creek is uncertain. Many disconnected pools following the end of seasonal flows still had high densities of larvae in them, suggesting that a large proportion of reproductive effort may have led to doomed offspring. The cues fish use to know when to enter the creek are also unclear. In perennial streams, spawning and migration timing have been linked to factors like temperature and flow, but this study found no clear relationships between fish movement and environmental variables. The authors posit that the lack of strong relationships may be the result of the behavioral and physiological flexibility of the species, and of the unpredictable nature of the system. Although flexibility is what has allowed these fish to survive in such a hostile environment, it also makes it difficult to create range-wide approaches to conservation, as generalizations would overlook the unique needs of localized populations. 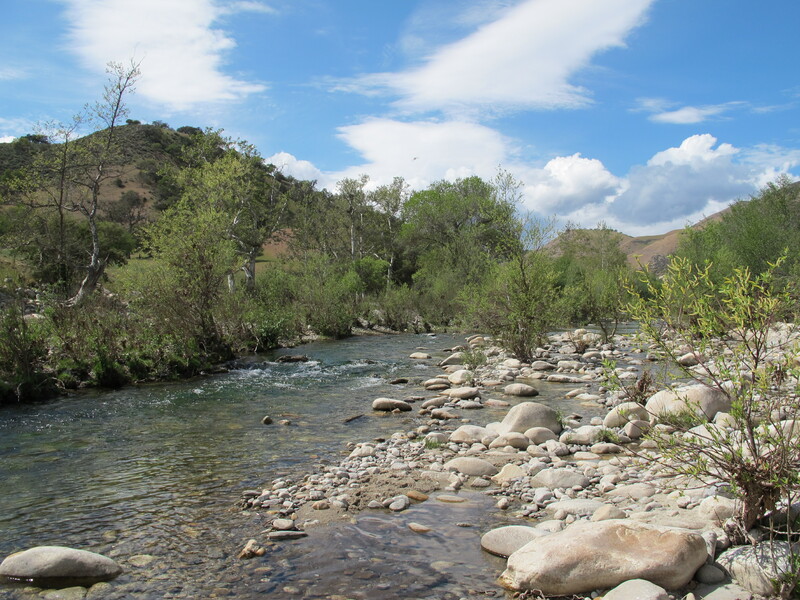 Research on fish use of intermittent streams may be vital to conserving numerous imperiled species, like the threatened South Central California Coast steelhead that FISHBIO monitors in the seasonally connected Arroyo Seco in the Salinas River basin, shown in the photo above. 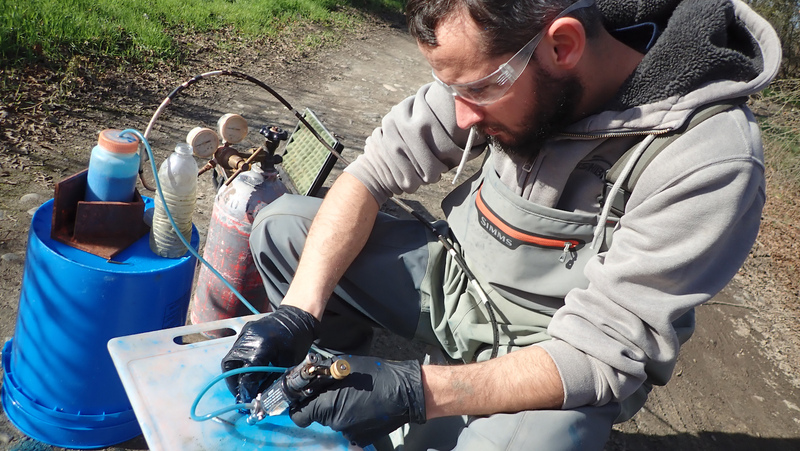 The success of conservation efforts in such systems hinges upon understanding the adaptations fish have made to persist in volatile and unwelcoming streamscapes.